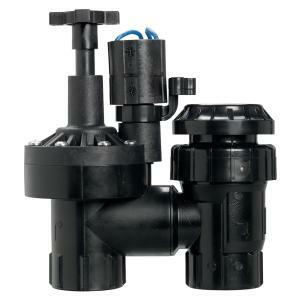 HRA Series with Anti-Siphon Valve is Hydro-Rain’s all-in-one valve. Anti-siphon valves keep your drinking water free from contaminants by restricting backflow. The HRA Series ASV is a tough but easy to use valve you can depend on for protecting your water source. The rugged design and construction includes a glass filled polypropylene lid for withstanding all weather conditions including the harsh heat of the sun. The HRA with anti-siphon valve meets IAPMO, ASSE, and CSA standards.